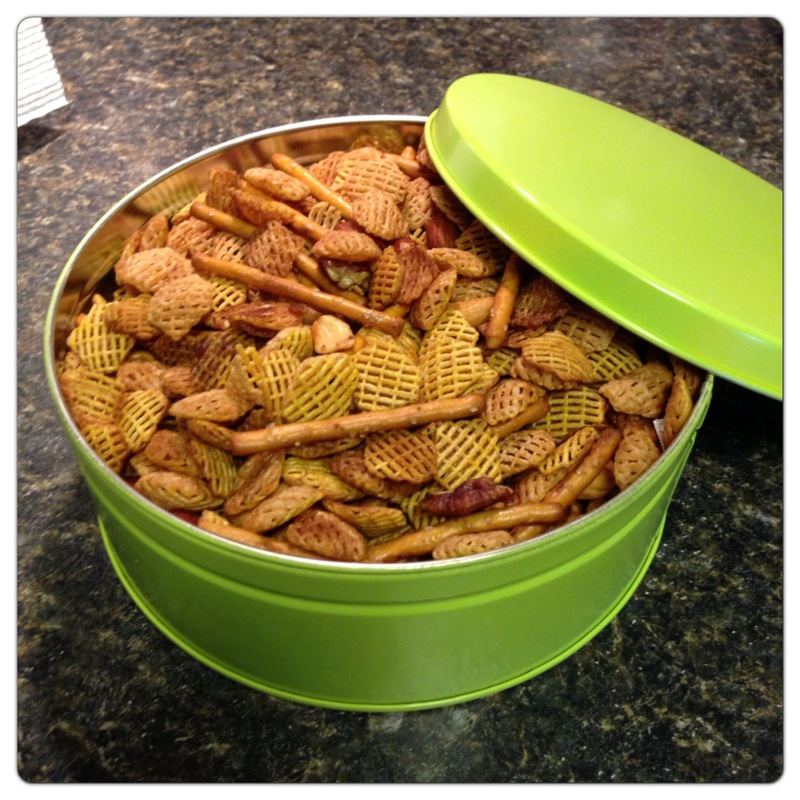 Combine Crispix cereal, nuts and pretzels in 13x9x2-inch baking pan. Set aside. Stir together remaining ingredients. Pour over cereal mixture. Stir until evenly coated. Bake at 250 degrees 45 minutes, stirring every 15 minutes. Spread on paper towels to cool. Store in an airtight container. If you’re like me you have several not so attractive tin containers just setting around. Spray paint them!! 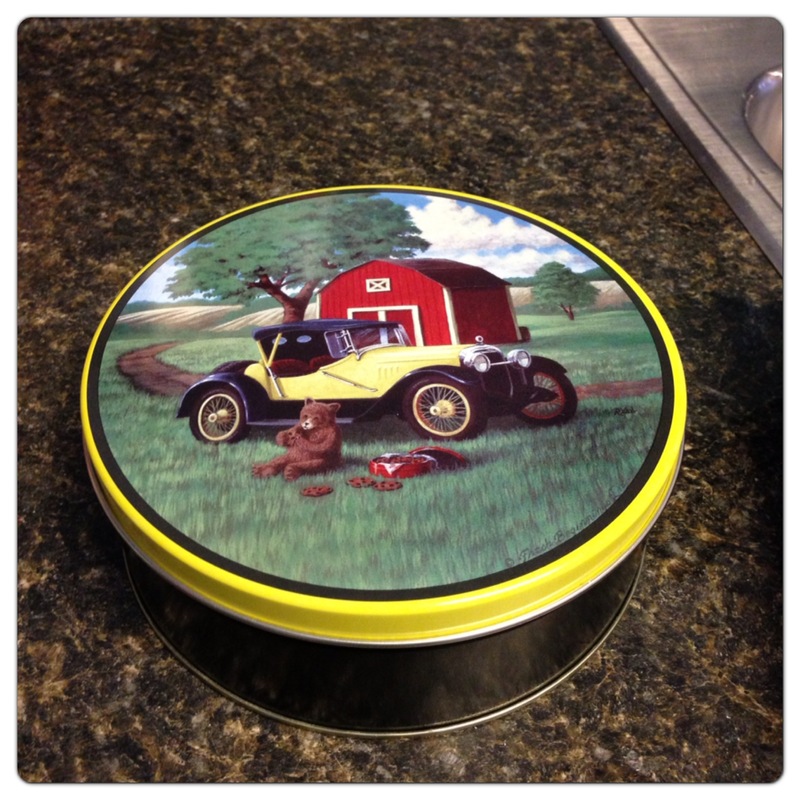 They make great gift containers.